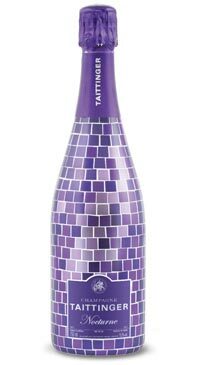 Taittinger Nocturne is a “Sec” champagne composed of Chardonnay (40%) and Pinot Noir and Pinot Meunier (60%). Blended from around thirty different vineyards from various vintages, this wine is laid down for four years to age before being disgorged. A 17.5g/l dosage of sugar cane combined with the slow cellar-ageing create a round and smooth mouthfeel that is perfect to enjoy with foie gras, cheese plates, sweets or simply to sip late into the evening.